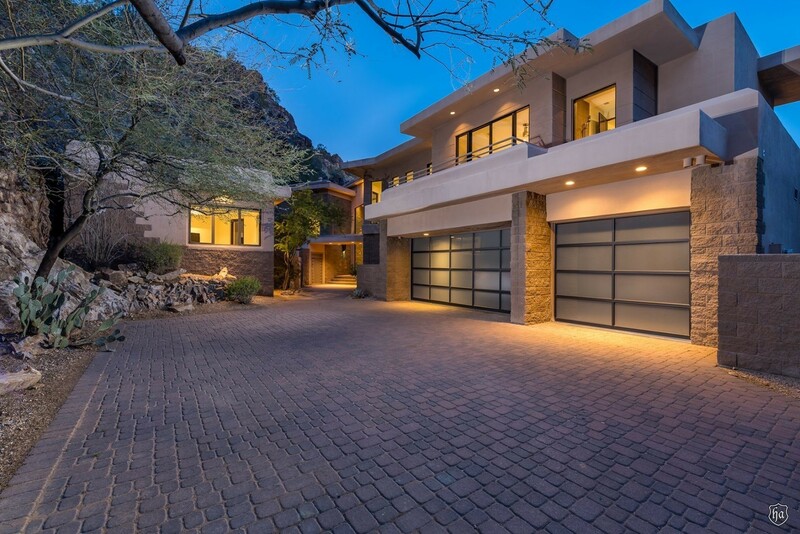 In a Paradise Valley premium location called La Place Du Sommet, this lovely estate displays city lights and mountain views from every room in the house. 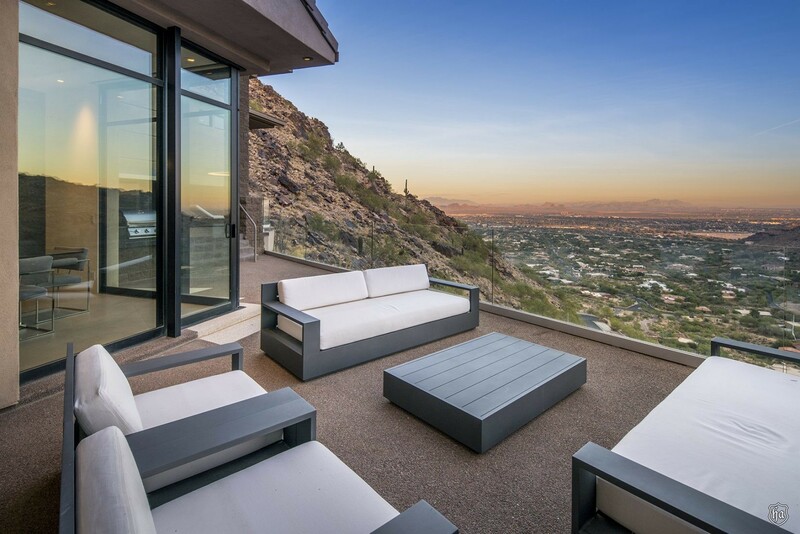 Nestled within areas with names such as Hummingbird Estates, Montana de Bonitas Casas (mountain of beautiful homes), this place of the summit (La Place du Sommet) represents 270 degrees of panoramic valley views from one of the five highest hillside homes in Paradise Valley, Arizona. Summing up the universal appeal of this home with this invitation to take a grand tour: you will rarely have cold weather, you will adore the indoor outdoor life style, and…you will never be far from a golf course or swimming pool! 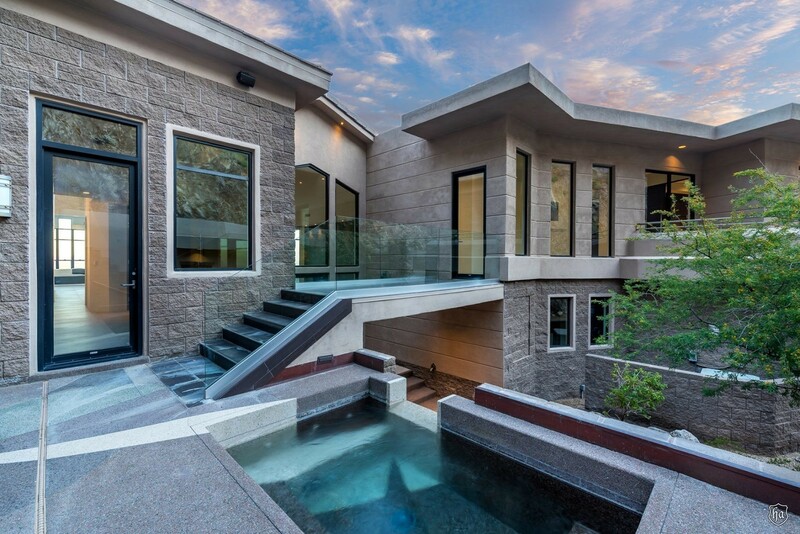 In addition, this contemporary home comes together to create something wonderful and utterly delightful to live in. 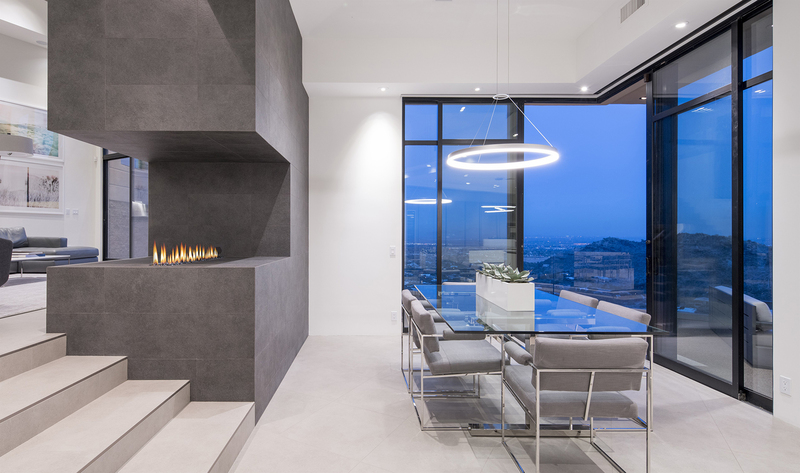 The home’s irresistibility of course, are the views via the floor to ceiling glass windows that showcase the city lights, and mountain views from each and every room in the house. 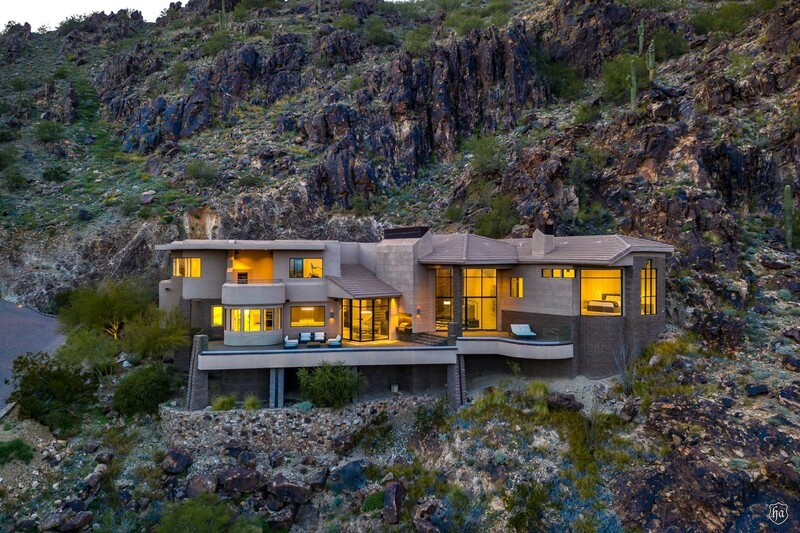 Enjoy the 5,304 square feet with its own guesthouse designed by the award winning Robert M. Brown who, in his own right, is known for clean lines, classic proportions, and unique architectural planning of residences. 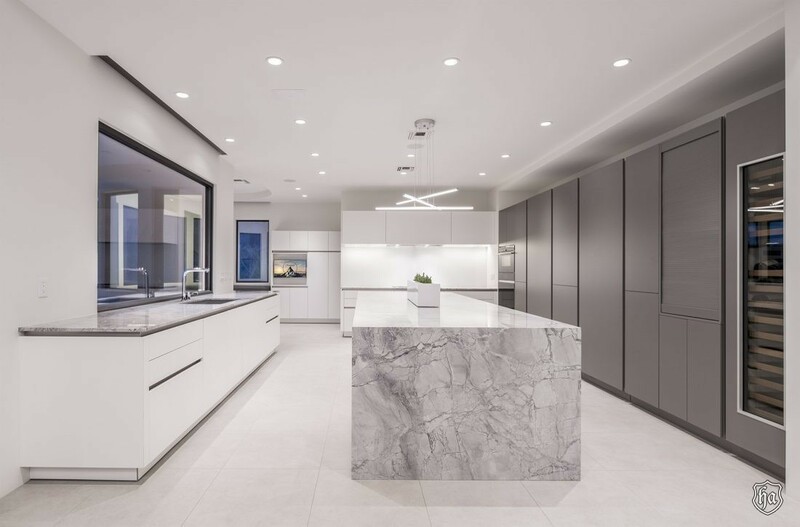 The two storied home is the epitome of luxury starting with the LED lighted kitchen that features imported Italian Padana flooring and Princess White Quartz countertops, German Poggen Pohl cabinetry and Dornbracht fixtures. 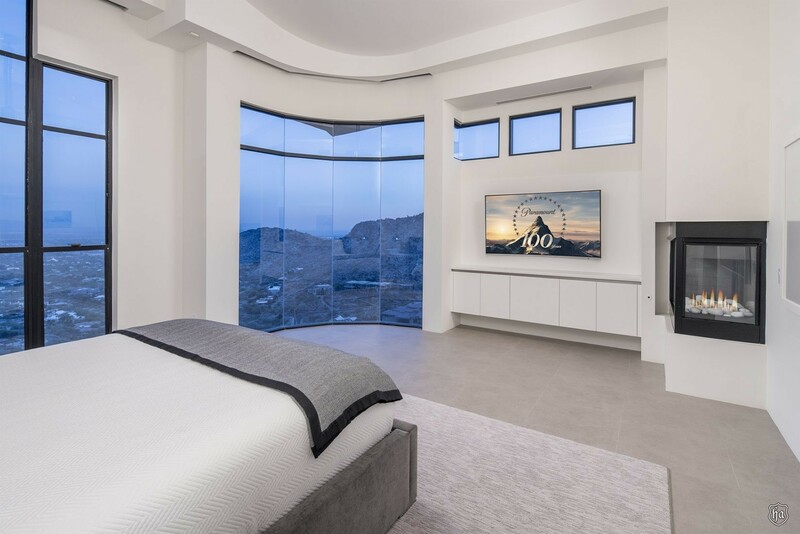 The master suite is a huge part of the draw with its 180-degree valley views, automated pocket shades, 2 way fireplace, his and her closets, dressing rooms and separate full bathrooms with an exit to a private heated spa. 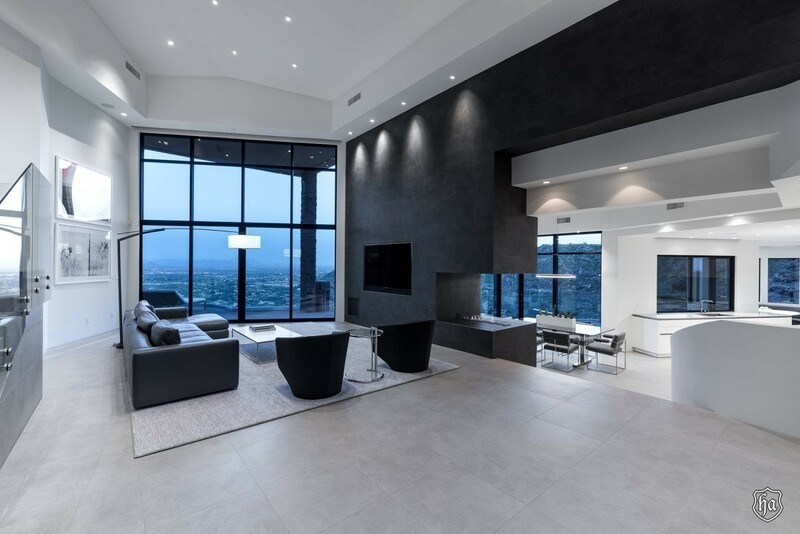 You will also find a movie theater with Meridian digital equipment that seats 8 comfortably, a workout room with balcony and outdoor fireplace, topped off by a wine cellar and walk-in safe. If that were not enough, a separate guesthouse with full kitchen and bath adorns the property for your friends, family, or staff to occupy. 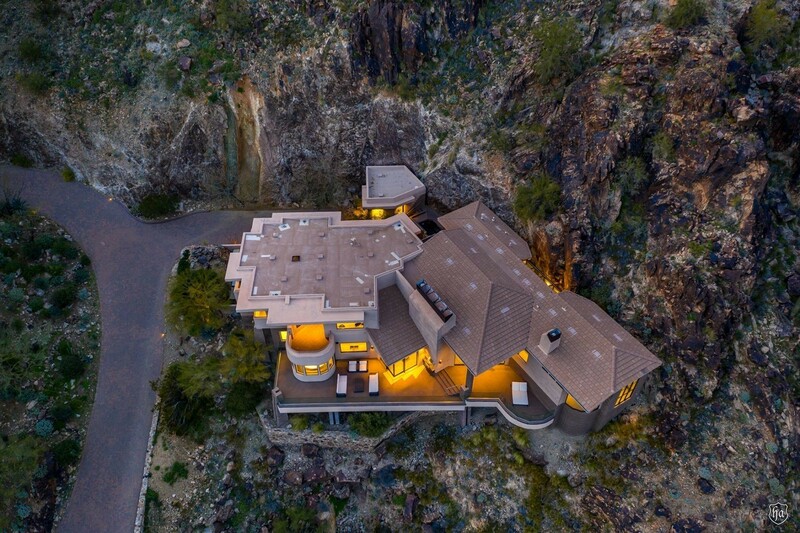 Enjoy the sleek luxury of this contemporary home with a birds eye view of the desert chemistry to be had on Quartz Mountain, where the gatehouse guard will direct you…home!